Lately, as we analyze the information generated through the inaugural Placemaking Leadership Council and begin planning the future of a larger effort to promote Placemaking as a social cause, we have been thinking a lot about what all goes into a successful campaign. Some of our most exciting and fulfilling work over the years has been campaign-based, and while our heads are up here, we wanted to share some of the tips and tricks that PPS has learned over the past four decades of work on the ground (and, more recently, on the web). 1.) Start with a vision—not a plan: If you want to create a great place, you'll need to involve as many people as possible. Your community is full of neighbors with interesting ideas and desires for what role local public spaces need to fill, and the resulting space can only reach its greatest potential if it can be responsive and useful for the broadest group of people. When you're getting started you'll need to have a vision of what the specific site you're working to transform could become, but it's important to remember that a truly inclusive Placemaking process might take things in a different direction than you had originally planned. Developing a flexible vision is an important first step. 2.) Use tools that help people find their voice: If architecture is frozen music, then urban planning is composition, and Placemaking is improvisational street performance. Many people intuitively understand when a public space is or isn't working, but decades of top-down planning have left them feeling dis-empowered, and inclined to leave the work of city-making to the professionals. Simple, straightforward tools like the Power of 10 evaluation, or the Place Audit, validate observational and learned knowledge, and encourage participation from people who don't know the first thing about curb cuts or FAR. That's not to say that planners' input isn't important; just that it is no more or less important than input from the people who are intended to use a space that's being planned. To achieve the best outcomes, they have to be able to talk to each other. 3.) Remember to stretch: If you want to get the best results, you're going to have to reach out in new directions to get people to show up and speak up when you conduct workshops and ask for community input. Successful Placemaking requires the forging of unlikely partnerships; if you try to work with the same groups that you've always worked with, you'll keep getting the same results. If a place isn't already great, you limit its potential by sticking to your mailing list. 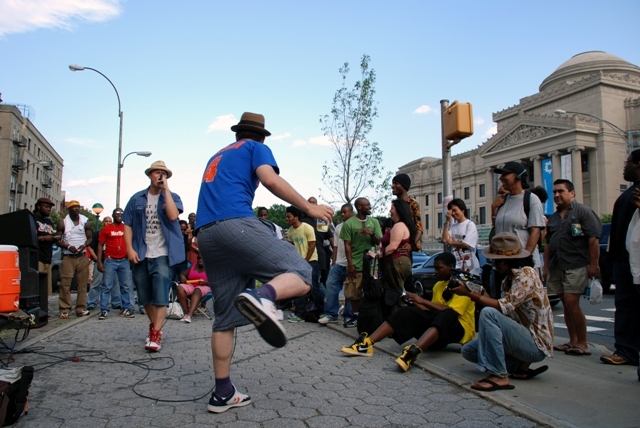 Trying new tactics is important to the outreach strategy around a Placemaking process. Digital tools are one great way to reach a wider audience; using something like the PlaceMap platform gives you a way to reach out to younger and more technologically-savvy folks. 4.) Embrace debate: If you're doing things right, the process will be a bit messy. People are going to disagree about how public space should be used. Public life is all about debate, and our public spaces are concrete compromises that, at their best, reinforce the respect that neighbors have for each other in a strong community. When limited space is available, compromise is necessary. The Placemaking process facilitates debate so that people can identify impediments to success, and work together to find common ground. The discussion that happens also serves as a "team-building" style exercise for the community, building social capital and strengthening local connections. 5.) Teach through action: Lighter, Quicker, Cheaper interventions in public spaces allow you to get the ball rolling and generate interest in your long-term Placemaking goals. People often forget that underused or vacant spaces are even there, as they recede into the background of daily routines. If you want to turn a parking lot into a plaza, you have to change the way that people think about it before you can even start developing a real plan for action. Just doing some events or quick interventions (think PARKing Day) to change perceptions can shake neighbors out of their complacency, and help you rack up some quick wins to build support for larger changes. 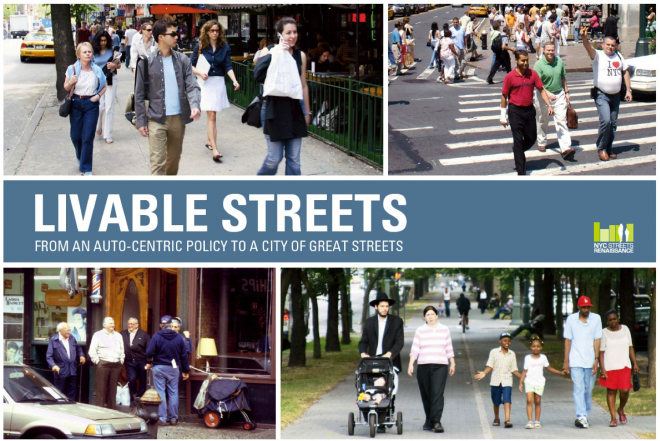 ‍The New York City Streets Renaissance Campaign followed these principles as it reinvented the way NYC thinks about, and shapes, its streets. Increasingly our work on every scale is about developing campaigns for culture change through Placemaking. To make great places possible we need to educate, facilitate and inspire people to participate in the creation public spaces. We have supported a broad range of city-wide Placemaking campaigns in cities including: New York City, Chicago, Indianapolis, San Antonio, Baltimore, Seattle, San Francisco, Los Angeles, Omaha, Bellingham, WA, Brunswick, ME, Melbourne, Australia, Mississauga, Canada, and state-wide in Michigan. We also have been invovled in several country-wide campaigns in the US, like our Urban Parks Institute, and our current Building Community through Transportation Campaign. Our long-time national campaign in the Czech Republic has been replicated in many Eastern European countries. There are also small but important efforts in Scotland and New Zealand. Across Australia and New Zealand we have been partnering with Place Leaders and many of the members to advance Placemaking from the project-level to the national policy level. We are now embarking on an international campaign with the Future Of Places conference series and UN Habitat partnership to set a global agenda and support Placemaking in developing countries. The vision is that the Placemaking Leadership Council will work to network these campaigns, as well as those going on independent of us, to create a broader movement. We will continue to work to incorporate all of these principles in each of these campaigns. Please share with us additional principles, and examples, of successful campaigns.